CANTON, Mass. (JTA) — At a kickoff party Sunday night at the Orchard Cove senior home in this suburb about 25 miles from Boston, boisterous cheers erupted from a small ballroom. Dozens of residents had begun an evening-long tailgate-style gathering as their New England Patriots started yet another Super Bowl, this time against the Los Angeles Rams. Of course, the residents didn’t know that at the final whistle their team would be hoisting its sixth Vince Lombardi Trophy hours later. The kickoff party was new this year, organized by Sandberg and Charles “Bud” Liftman, both Jewish residents — but the community’s Patriots fandom was decades old. The party, with a jumbo TV and plenty of team regalia, created quite the buzz throughout the facility, where not all but many of the residents are Jewish. “The community atmosphere here is why we wanted to do this,” Liftman said. He and Sandberg talked to JTA in the light-filled residence on the Friday before the big game. Canton is only about a dozen miles from Gillette Stadium, home of the Patriots. The team’s owner is Robert Kraft, a businessman and Jewish philanthropist who was recently awarded the Genesis Prize for contributions to the Jewish community. At other places Liftman has lived, management may have set up some snacks and put out Patriots’ banners. “But people wouldn’t be coming together,” said Liftman, who retired following a longtime career as a Boston Globe editor. “To organize something like this, it makes us proud. It makes everyone happy,” Sandberg added. As lifelong sports enthusiasts, Liftman and Sandberg have followed Jewish sports figures and feel great pride in watching outstanding Jewish players like Julian Edelman, the Patriots’ star wide receiver, succeed on the field. Edelman would win the Most Valuable Player award in the Super Bowl, the first Jewish player to be so honored. Sandberg can’t remember a time when he wasn’t a Patriots fan, dating back to his youth, when the team was the Boston Patriots and played in the old American Football League. Years later his family-owned toy distribution company was located in Foxborough, across the street from Gillette Stadium. One year before Kraft bought the team in 1994, two women who worked for the Patriots came to Sandberg’s retail outlet looking to buy 2,000 Christmas stockings to donate to children. His shop was their last hope and he was able to deliver. 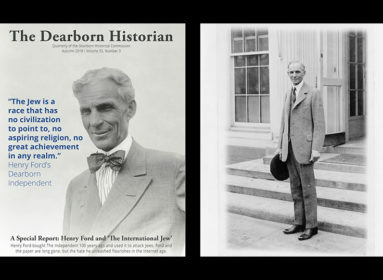 Later that day, the Patriots reciprocated with 40 tickets to the day’s game for his employees and their families. Sandberg and his wife, Thelma, have been hosting Super Bowl parties for years, sometimes at their home, but often for larger crowds, including at the Naples Jewish Congregation in Florida, where the couple lived for 20 years before moving back to the Boston area last year. About 20 miles south of Orchard Cove, around 35 people came together Friday night for a Patriots-themed Shabbat dinner at the Chabad of Mansfield, according to Rabbi Yossi Kivman. Mansfield is also near Gillette Stadium. “We’re known as Chabad of the Patriots,” he told JTA. In addition to challah and other traditional foods, dinner included buffalo wings in a nod to traditional Super Bowl fare. Many arrived decked out in Patriots’ gear, and someone sang the national anthem. 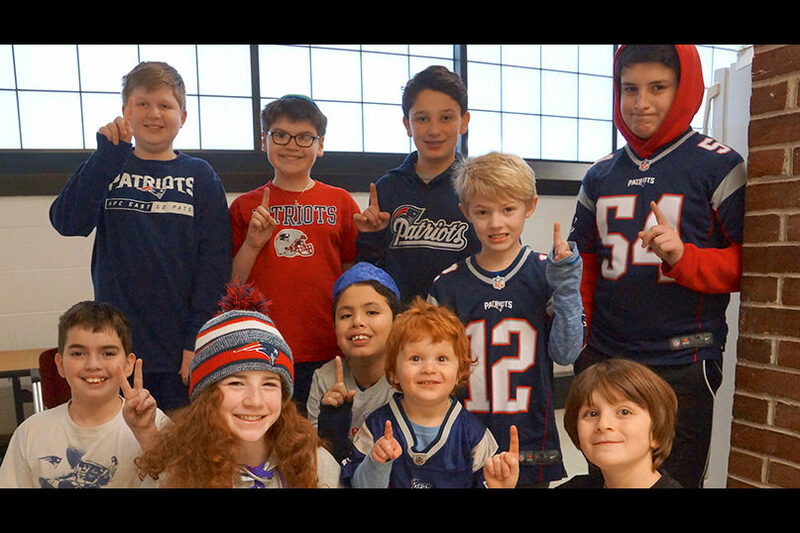 At MetroWest Jewish Day School in suburban Framingham, the students also showed their pride at Friday’s Patriots Ruach (Spirit) Day. Many wore the team’s gear to school on Friday. Seventh-grader Brett Berch comes by his love of all things Patriots naturally; every family member is a diehard fan. He’s been to a playoff game, in freezing temperatures, and a warmer game last month, against the Los Angeles Chargers. “It’s nice to have a connection with Julian Edelman being Jewish,” Berch wrote in an email sent through the school. Back at Orchard Cove, as people were leaving after the Super Bowl victory, Sandberg and Liftman were already looking ahead.